DSC_7112, originally uploaded by Midnight Matinee 24. DSC_6654, originally uploaded by Midnight Matinee 24. Forest City closes off the season against Mystery Machine Team. Looking suspiciously unmystery-like is Hot Cross Guns from Royal City. Preamble: After the wrap-up of the ToRD season at The Hangar with the festive Clam Slam leading into the Canada Day weekend, July turned into the jampacked Derby month as we ventured into the realm of the 2 Fresh 2 Furious tournament, then the longest weekend afterwards which started by heading out to Tri City and ending up in the Hammer, then the next week back to Royal City and finishing the week amongst the Rollergettes. The following takes place between July 23rd and July 24th. DSC_1112, originally uploaded by Midnight Matinee 24. Shots on Flickr. 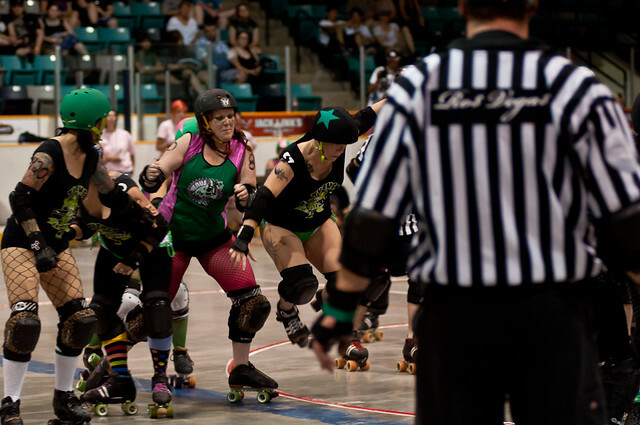 Another journey up to Tri-City on another hot July day, this time to see the Fatales and the Tramps – not in New Hamburg – but in the downtown Waterloo Rec Centre. A quick visit to the Mike’s Fries across from the bus station and a very strange poutine. Then smilin’ Suzy Slam showed across the street and we were off after a quick Tim Hortons visit, and did we ever need it. 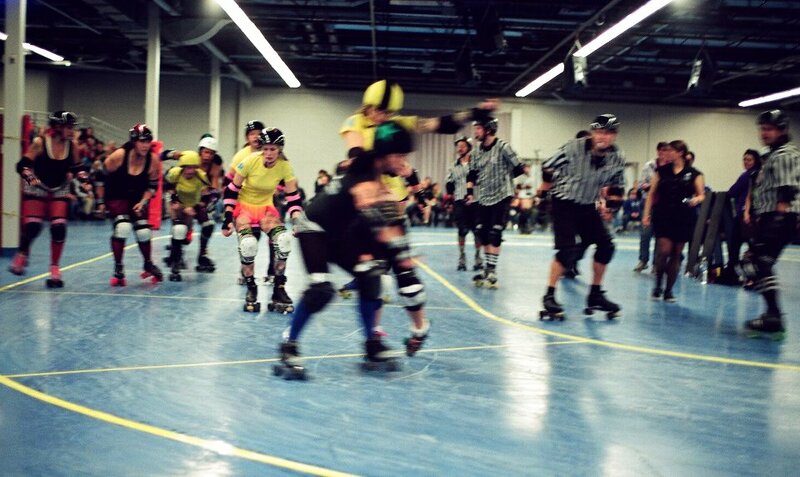 Thames Fatales and Venus Fly Tramps clashed in an old rivalry from days before Derby was on the boutcast map. The Fatales had never lost to the Tri-City league team, but it had been too close for comfort at this year’s Beast of the East. Surprises were in store for the evening. Events had started earlier in the doubleheader with the ascending Luscious Lunch Ladies squaring off again against the new Total Knockouts, the third team in Tri-City Rollergirls’s league. Who knew what manner of mayhem would happen on the track? With captain for the night #69 Mirambo around would anyone wonder otherwise? Although the programme promised a dozen Thames Fatales on the roster, they could have truly used the missing #234 Anya Face, #25 PiepShow and #187 Killson. were carrying a team of 9 black and forest green [nine!] against a very tall looking team of Venus Fly Tramps in their green and pink. 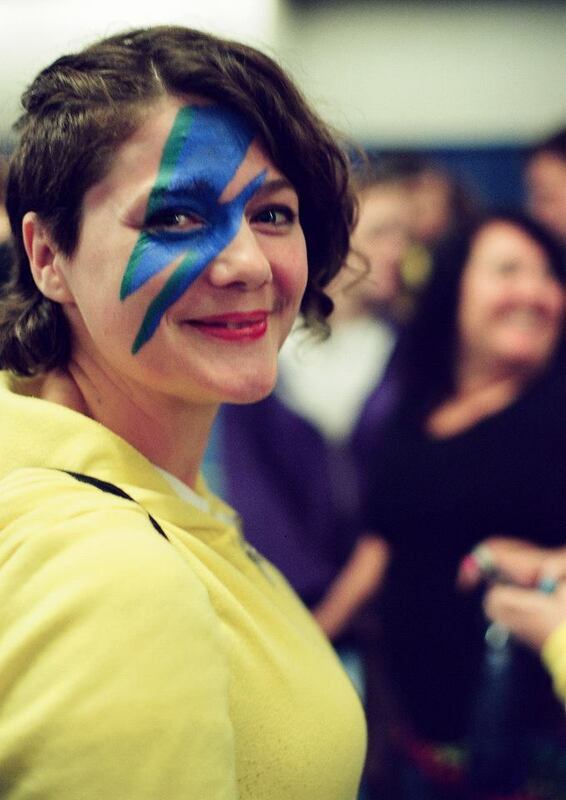 #234 Anya-Face was cheering her team on from the sidelines after her injury at CWRDA. 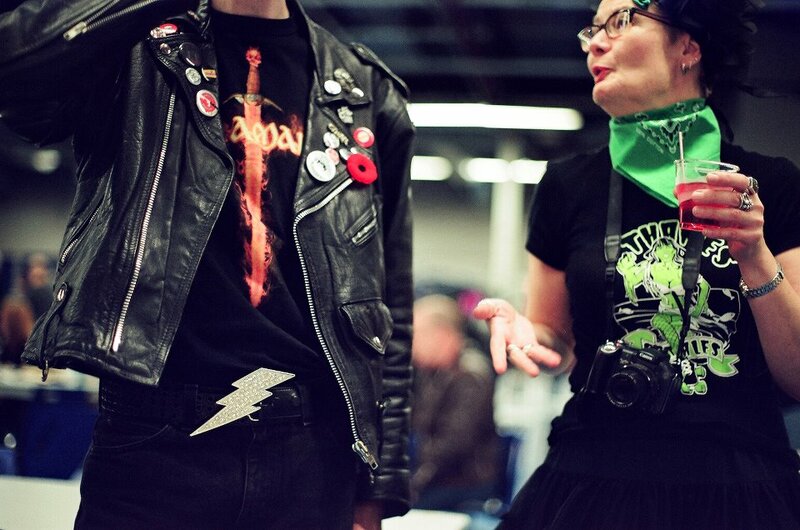 #25 Piepshow was out with other endeavours in life. 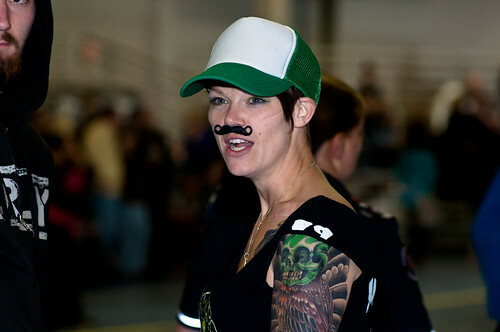 That #187 Killson was also a no-show was probably a fatal blow to the Forest City Derbygirls. 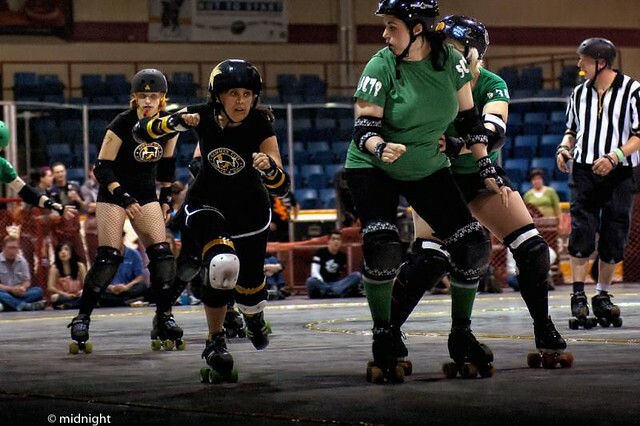 This is not to detract from the Tramps who sported the likes of new transplant #314 Perky Set which was a strange sight, given the last time we saw her in action was against the Fatales while sporting the red and black of the Hamilton Harlots. Venus Fly Tramps took the lead from the start and never let it go. However, Thames tirelessly tried to fight back sending in a mainly three jammer rotation with #5446 Slacker Smacker, #317 Sufferjet and #69 Mirambo. 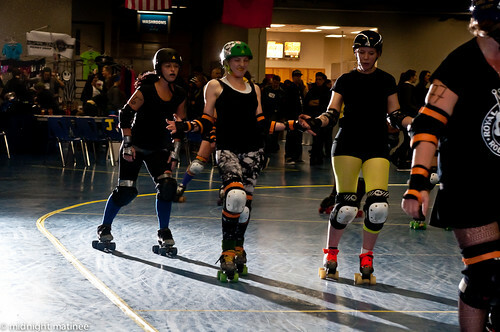 After having seen Perky Set in action representing the Harlots in Forest City against Thames Fatales, it took some getting used to wrapping your head around the concept of π Perky Set playing in Tri-City. But she was a dominant player that night for the Venus Fly Tramps. Although her height made her a conspicuous target for the Fatales to zero in on the track, at the same time it gave her a blocking and jammer advantage and allowed her to mess around amongst the Thames. One might think it may be more advantageous for the jammer to be smaller, but having the lay of the land, Perky Set became part of the jammer rotation in the second half for the Tramps and created another problem for Thames with which to contend. Perky Set found the holes that she was helping to create in the first half. 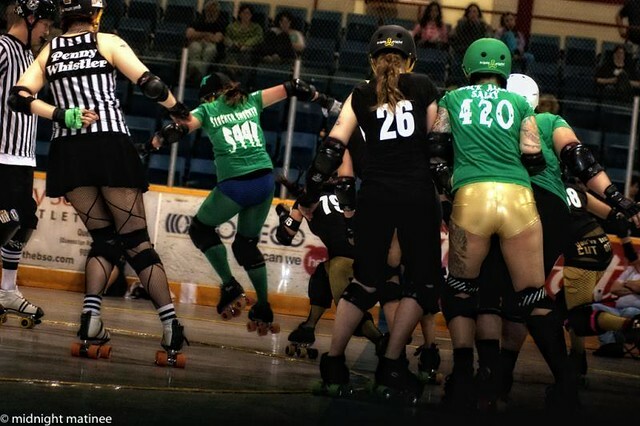 This is the first time we had actually seen the Venus Fly Tramps crew of #3 Kitty Krasher, #37 Lilith No-Fair, #22 Freudian Whip, #40 Leigh-zzie Borden, #80 Gunmoll Mindy play outside of the Thunder. Everybody was just hitting everybody in sight and giving it their all. No guts, no glory? My highlight shot of the night was seeing Mirambo jump the track to get herself some jamming space. So the outmanned crew from Thames in the end couldn’t fill in the gap and fell 176 to 89. 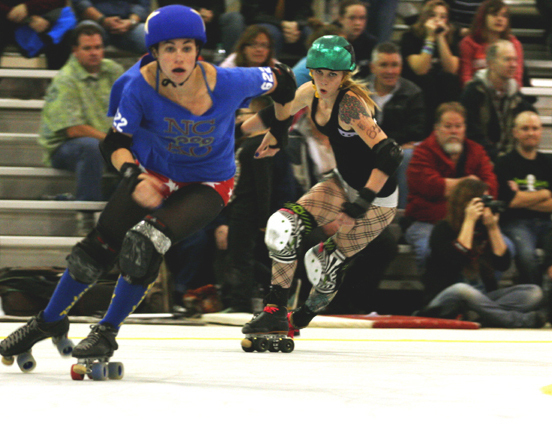 But as it is kept being said the score hardly mattered in the long haul as it is always exhilarating to watch Derby being played at its highest peak of the spectrum, seeing spectacular attempts at passes and take-outs, jammers skating at the edges of the track looking for tiny slivers of space and trying to avoid the track cuts and blockers achieving air as takeouts land, strategies being implemented on the fly. “We LOVE playing the TKO’s, those girls are nothing but fun, and fire! They bring such a great attitude and hard work to the track! We played them last year, and won, but they had a pretty good run in the second half so we knew we had to play our best. “Both teams are a little different from last year: the TKO’s seem to have a lot of new faces and, the Lunch Ladies have some players off on injuries. We lost some girls to the real world (outside derby) along the way, but we also took on a lot of new girls ready to give their all! I have to say Anne Tastic looked amazing for only being in her second game she had some good jammer take outs and big hits on the TKO blockers, as well as some crazy good blocking from Bloodlust Barbie who’s just returned the to track from a few months off, she really was a key blocker for positional blocking in this game, and the Lunch Ladies vets were stellar all game! Grisly Blaire was a huge part of this game, blocking and jamming for us when needed, she has this magical way of taking up the whole track with her legs, so lucky for us she was able to keep the jammer behind her most of time, and when she wasn’t blocking she was racking up some much needed points for us! The Derby gods must have been smiling down on us after the night was over at the arena because the night never ended at the arena. It kept going and going and going and we were fabulously hosted and entertained by fabled stories of Derby adventures and woke up somehow the next day on the hottest Sunday of the year and then we were in the Hammer for a league practice at their rink. If it was hot outdoors, the heat that was trapped was even worse. But they prevailed and if the Derby players on the floor could take it, then so should we. Practice was still continuing while we hit the road by 3. One more GO Bus back to Toronto and finally saw the driveway of home Sunday evening. The first words we heard were: “Was it worth it?” Hell yeah. 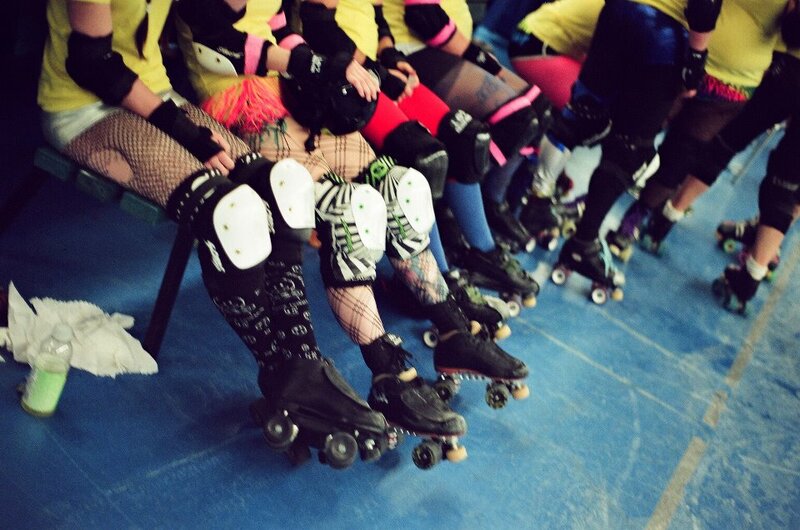 And there was one more little scrimmage to come with the Rollergettes and the Belles of the Brawl from Brantford. 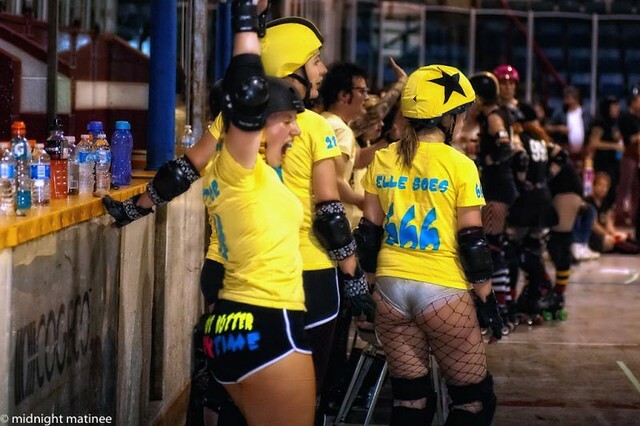 fter a trip down to the Mid-Michigan Derby Girls in a rematch, Thames Fatales scored a 169-71 victory to get their wheels in motion for the new year ahead. Forest City’s #5678 Annie Takers delivers the state of the league address. FCDG has worked really hard during our off season to strengthen all of the skills each of us bring to the track. Communication is the key to our success, and after spending the last few months polishing it up we are ready to lace up and skate hard. We are looking forward to meeting up with some new teams on the track as well as some good ol’ sibling rivalry to appear with the teams that just can’t seem to get enough of us FCDG gals. Looking forward to another successful Derby Season! Bring it on! 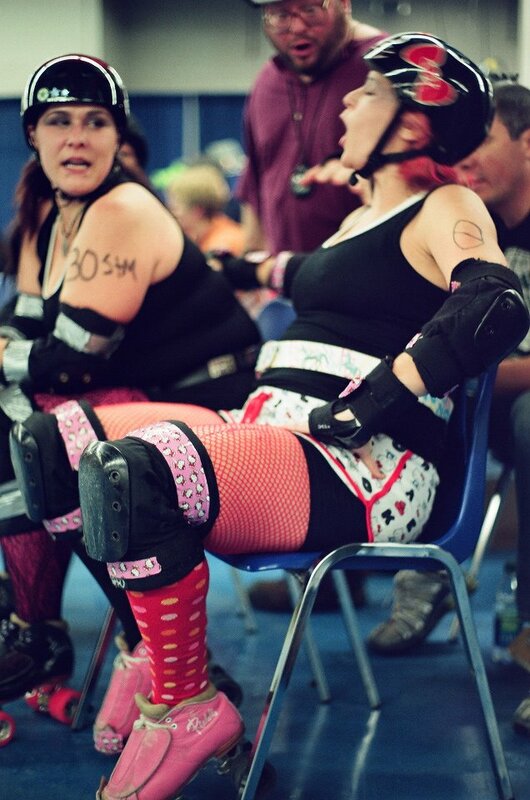 (Luscious Lunch Ladies have been compelled to withdraw their team from Beast of the East 2011. Sorry, Debutantes).